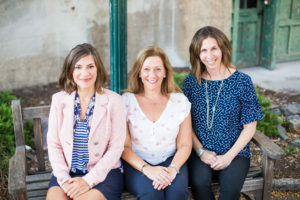 Our therapists focus on promoting growth, change, resilience, and contentment in the lives of the children, adolescents, adults, and families with whom they work. Treatment is guided by our view that each individual is part of a larger context including family, school, work, community, and culture. The core services we provide include individual psychotherapy for children, adolescents, and adults, family and couples psychotherapy, parent guidance, psychological assessment, and consultation. Each treatment is based on a thorough clinical evaluation. We use multiple treatment approaches tailored to meet each client’s specific needs. These approaches include but are not limited to insight-oriented, interpersonal, and cognitive-behavioral therapies. We help clients better understand and regulate their feelings, improve interpersonal relationships, and learn more effective coping and problem-solving skills. We work closely and collaboratively with other involved professionals to provide a well-coordinated and comprehensive treatment. At Positive Developments, we are committed to maintaining a personal environment that ensures our clients receive individual attention and the services that best meet their needs. We are a team of highly trained professionals with complementary areas of expertise. Therefore, we are able to give careful consideration to matching each client to the right therapist. We proudly serve the following towns and counties in New Jersey. Millburn, Short Hills, Maplewood, South Orange, West Orange, Livingston, Caldwell, Montclair, Verona, Bloomfield, Watchung, Warren, Scotch Plains, Cranford, Mountainside, Springfield, Summit, New Providence, Berkeley Heights, Westfield, Chatham, Madison, and more. Essex County, Union County, Morris County, Somerset County and more.